Ah, friends. 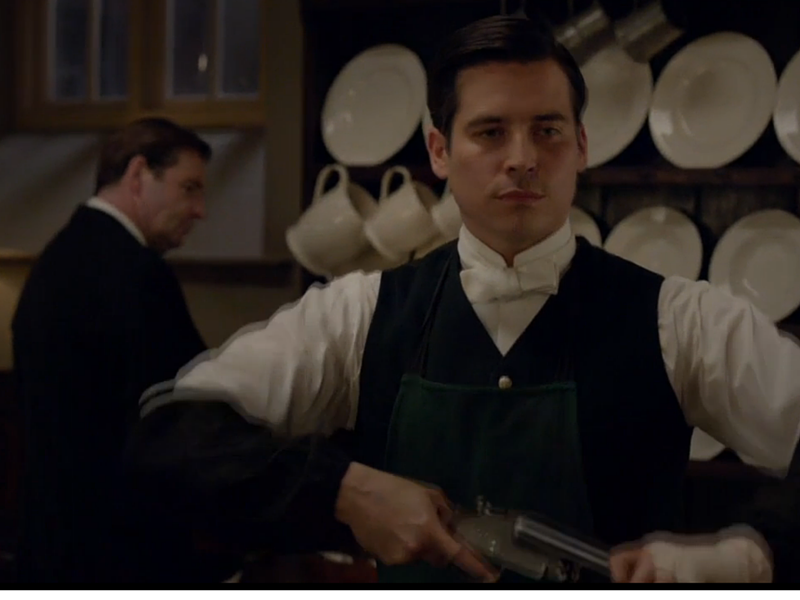 I’d say those Downton writers really know how to wrap up a season. And how to keep up salivating for more. This week’s episode, the finale, was really fun, wasn’t it? So many lovely moments that just can’t fit into my Top Five. I’m thinking of Robert and Edith, Robert and Cora, Robert and Sybbie. I guess Robert is finally coming around and becoming the man he was in Season 1. And then there was the moment with the Russian Princess. Oh my! Would you say she has a chip on her shoulder . . . or was she happy to see Violet again? That entire story line was a little bit perplexing to me this season. I’m kind of happy to see the Russians trot off to Paris where they can be miserable together. But the Russians do bring me to my first favorite line of the night, which, of course, belongs to Violet. 5. So the Russians have left the building and Violet remains, yet again, alone. I was glad that she finally confessed her somewhat sordid background to Isobel—she came across as a very real person. She confesses something else to her BFF as well—that she’s a little sad to put her latest near-tryst with Prince Kuragin in the past. “I will never again receive an immoral proposition from a man. The passage of time can be so cruel. 4. So the family travels quite a distance (we aren’t quite sure where—Scotland?) to visit the Sinderby clan in their much-larger-than-Downton rental house because, you know, they are family now. Sort of. And they have to make a show of it for Rose’s sake, I guess. 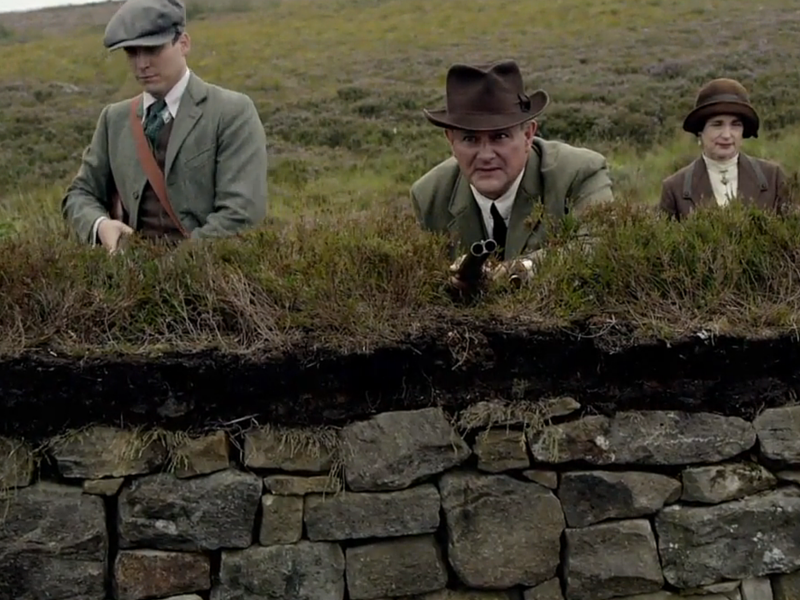 Or Robert just wants to get in on some premiere grouse shooting. “To wait on us, yes, and to eat with us. And if that thought’s too democratically overpowering, you can share what I’ve made for the housemaids." 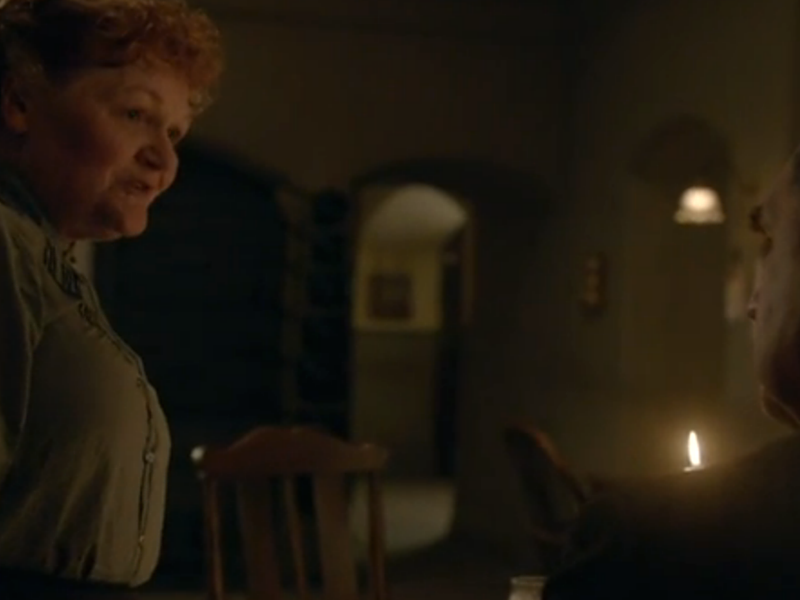 Cudos to you, Mrs. Patmore! 3. While they are visiting the Sinderby’s, the Millenials decide to take a little walk so they can chat some distance away from the ears and sneers in the really big rental. Atticus divulges that he’s been offered a job in New York, and he and Rose seem all smiles about this. Tom talks about moving to Boston, which Mary continues to dismiss. Denial much? Not so fast, Edith. Mary once again comes out on top with her quick, albeit cruel, wit. 2. My final two favorite lines from this episode are in a near dead heat—they were both great for different reasons. But my number one favorite line just squeaked in ahead of my number two favorite for reasons which you will see when you get there. This favorite line was probably one of yours, too, because it was just so hilarious. Bates and Thomas are cleaning the guns [side note: Baxter reveals that Thomas knows his way around a rifle and that his father was a good shot. Hmmm. Will this information be important somewhere down the road? ], and Molesley offers his sympathy, yet again, to Bates for Anna still being in prison. 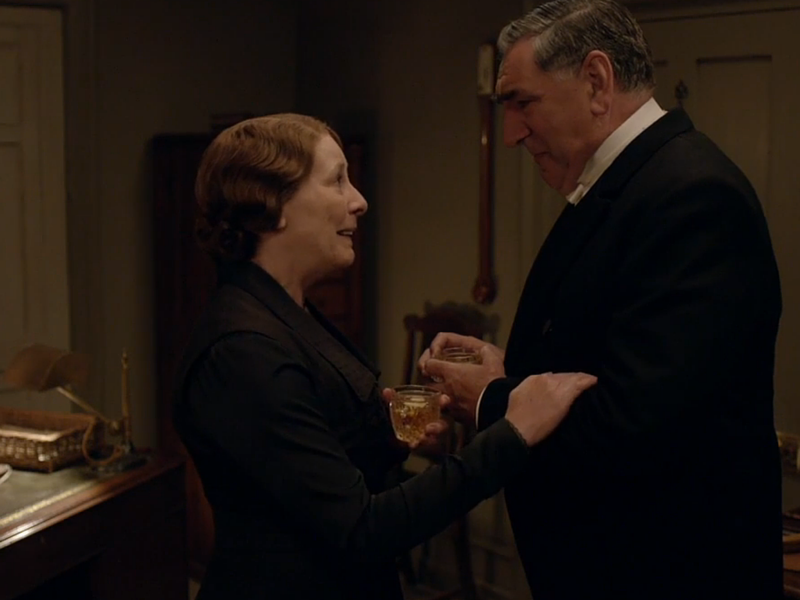 “Oh, I don’t think that would be sensible, Mr. Bates. Oh my word! Just too funny. 1. OK, you’ve probably already guessed my favorite line of the episode, and it gets this spot both because of the delivery and because of the scenario. Dear Carson and Mrs. Hughes. We’ve seen this coming for some time now (remember them walking hand in hand into the sea at the end of season 7? 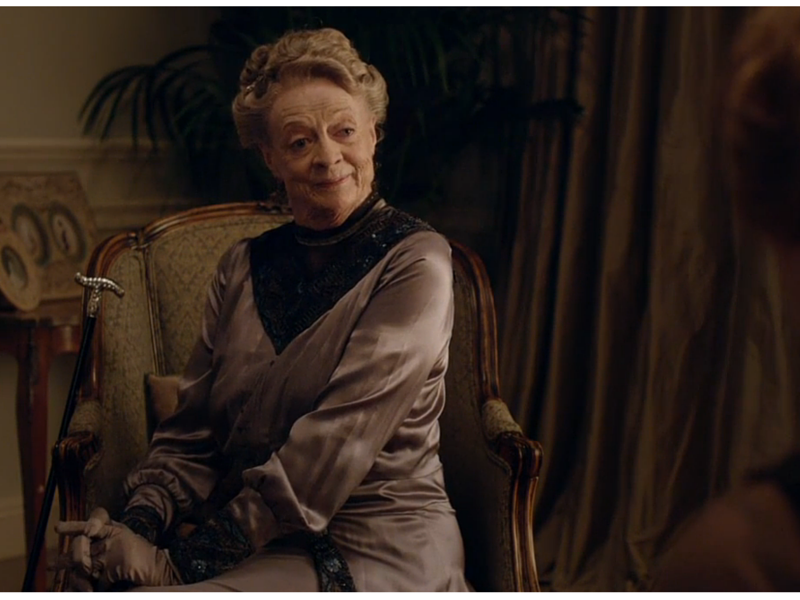 ), and finally our deepest Downton desires have been met. While everyone else is upstairs drinking spiked punch and singing Christmas carols, Carson and Mrs. Hughes sneak downstairs. Carson explains that he has purchased the house in both of their names, despite the fact that Mrs. Hughes has already revealed to him that she’s destitute. No matter. Carson wants her in on the deal. In fact, he wants her in on the rest of his life, as he so sweetly declares to her with tears in his eyes. “Well, that’s the point,” says Carson. “What is?” Mrs. Hughes is starting to understand. “I’m not convinced I can be hearing this right.” The puzzle pieces are beginning to fall into place. Isn’t that just lovely? But we’re not there yet. My favorite line is still coming, but I had to set the scene because it was just so sweet. Now Carson looks pained; the distress on his face is obvious until Mrs. Hughes puts him out of his misery. “Of course I’ll marry you, you old booby! We thought he’d never ask either! With that, Season 5 is a wrap. 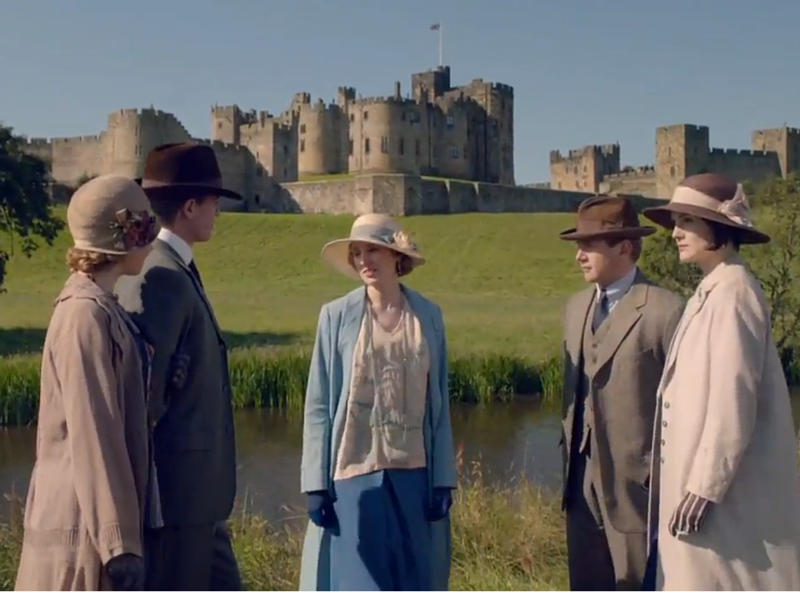 I’m sorry to see the fun of Downton Abbey come to an end, but does it ever? So many unanswered questions are left for us to ponder for the next nine months until a new season is born. Will Atticus and Rose move to America? Will Tom and Sybbie ever come back as he promised three times in this episode? Will Mary make Edith’s life even more miserable when she opens her eyes and realizes the truth about Marigold? Will Isobel change her mind and realize that she just can’t live without Dickie Merton? Will Thomas find a reason to use a gun? And will Robert ever get a new dog, this time one with a more suitable name? 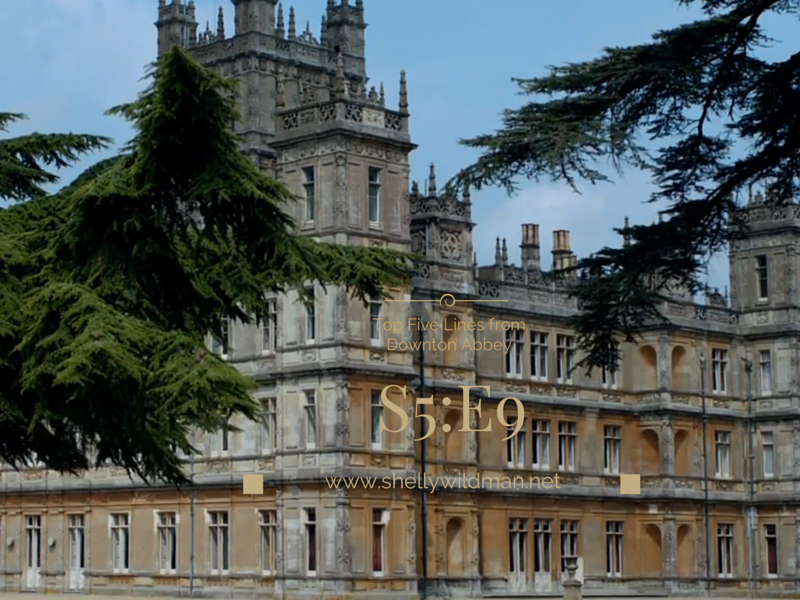 Until next year, good bye, Downton! And thanks. Nine months is a long time (ask any pregnant woman) to wait for a new season of Downton AND your beautiful fun posts, Shelly. Ha! So true (about the pregnancy part), Glenda! Thanks for your encouragement! of your words. Ahhhh, indeed. would miss it too much! were also my own. Pitter patter.